My husband, who is not a vegetarian, loves this restaurant and chooses to go there all the time. The food is great and the atmosphere is wonderful. Great Sage is anything but common--featuring a bold menu inspired by exotic flavors from around the world, using organic ingredients to nourish the body, and providing a warm, earthy, yet romantic atmosphere perfect for any occasion. Great Sage seeks to provide the highest quality gourmet foods created from only plant-based sources. We are committed to plant-based foods and organics because we know that what we eat matters. We offer many gluten-free and raw selections on our regular menu as well as supporting any other special dietary requests. No animals are harmed and the environment rejoices in our choices. And here's the Yummy Plants video review! 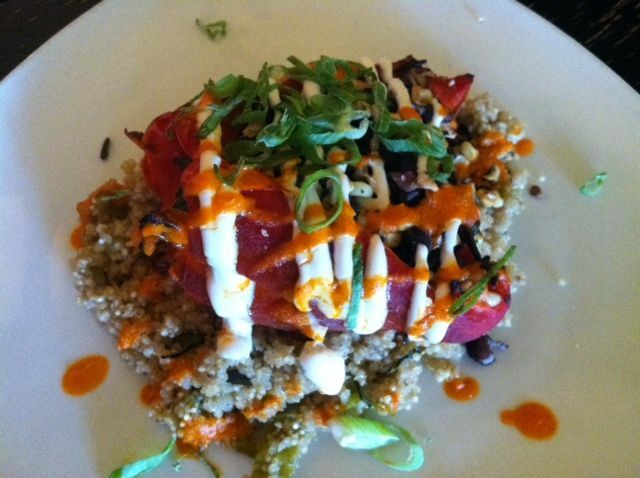 Let us know what you think about this awesome vegan friendly restaurant: Great Sage in Clarksville, Maryland. 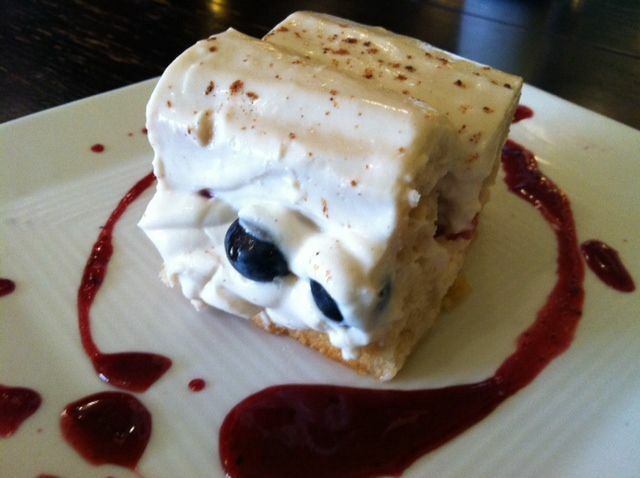 Perfect for the summer, fresh blueberry tiramisu! 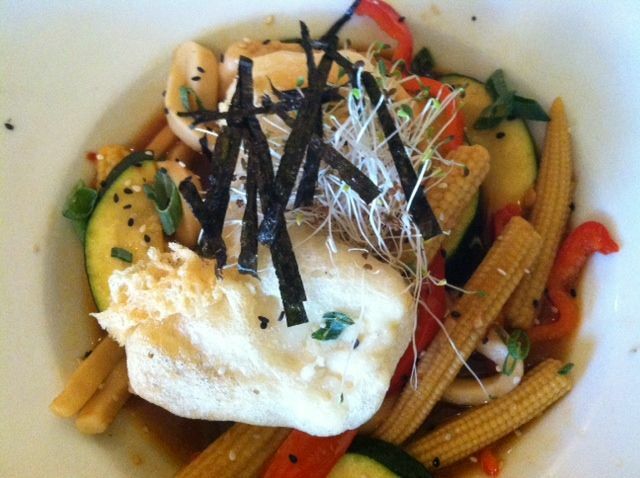 Zen Udon Bowl – Wok-seared local squash, baby corn, bell peppers, sprouts and scallion topped with tempura tofu served with a spicy sesame sauce over udon noodles. This dish will be on our summer menu, starting July 6th! What’s also amazing about Great Sage, aside from their super yummy vegan, and often gluten-free meals, is that they continually have days where they support different charities! At least once a month, Great Sage donates 10% of the day’s proceeds to a very worthy charitable cause. What a very special group of people… We love you Great Sage! Thank you for doing such wonderful work in this world!!! We at Great Sage are so delighted to be featured on Yummy Plants! 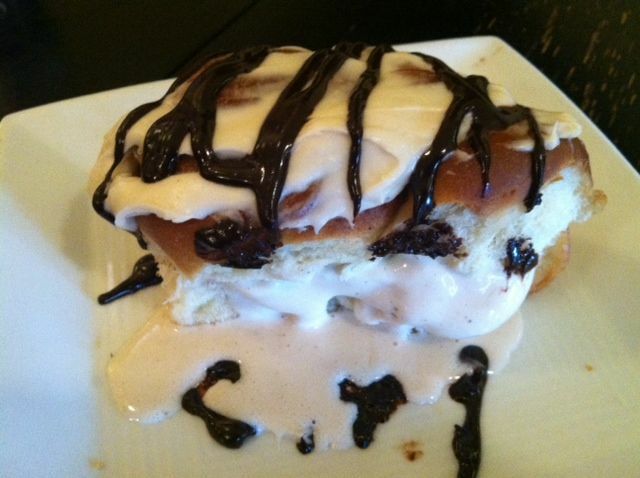 We strive to give the best food and service possible. 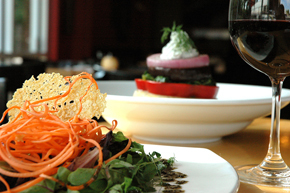 Each season our menu changes slightly, bringing new flavors and ideas to each dish! Thanks again and we love this site!